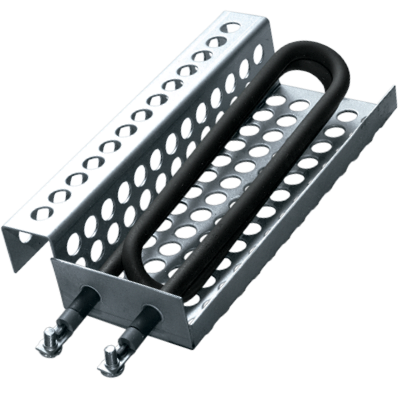 Watlow duct heaters are constructed of sturdy 0.430 in. (11 mm) diameter heating elements mounted to a 1/4 inch thick steel flange. 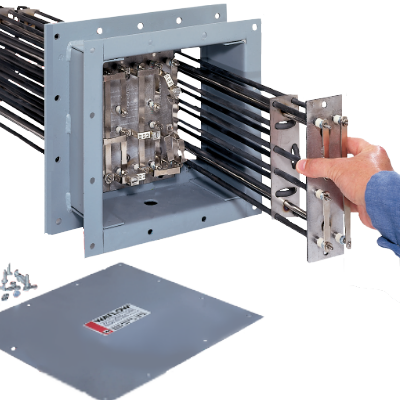 Modular duct heater modules are removable through the housing of the assembly, eliminating the need to pull the complete heater from ductwork, reducing downtime costs. and return it to our technical sales department by email at sales@thermalsolutionsoftexas.com or by fax at (281) 351-4324. For faster service, give us a call at (866) 351-4328. 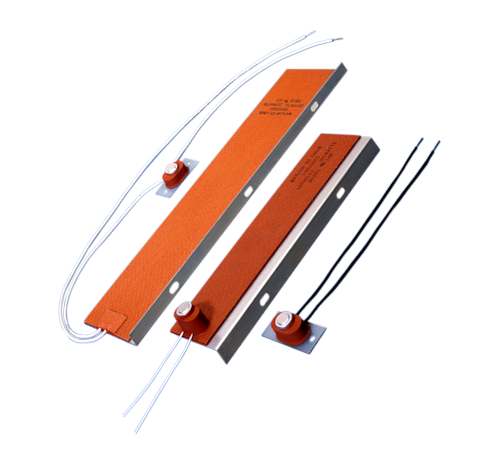 Designed for freeze and condensation protection, Watlow's enclosure heaters are rugged, reliable and safe to operate. A thermostat can be attached to the heater or mounted separately. Pictured are enclosure heater units with thermostat on heater in foreground and heater with remote thermostat in background. Watlow's 375 finned strip heaters are constructed of highly-compacted MgO-based insulation, which conducts heat efficiently from the wire to the sheath. Two-inch wide aluminized steel fins maximize surface contact so heat is transferred into the air faster. 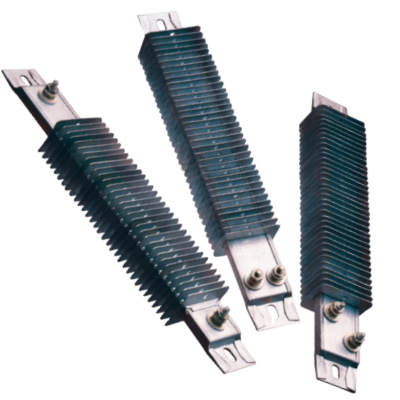 Finned strip heaters com in available lengths from 5 1⁄2 to 48 in. (140 to 1220 mm). Designed for freeze and condensation protection, Watlow's enclosure heaters are rugged, reliable and safe to operate. The stainless steel sheath wall resists corrosion and protects the heating coil from exposure while the silicone resin seal provides protection against humid storage conditions. 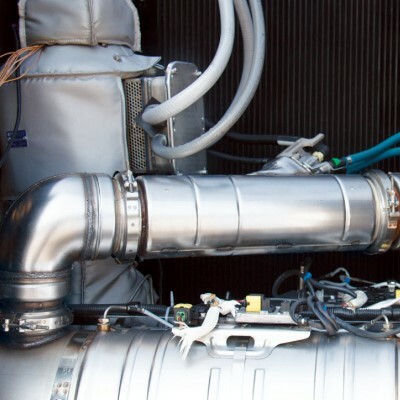 Low exhaust gas temperatures (resulting from low load or low ambient conditions) can compromise the performance of your diesel generator’s aftertreatment system and eventually lead to unplanned downtime and expensive repairs. For a FREE estimate of damaged components, contact us today! Complimentary assessment includes: a complete evaluation of damaged parts, estimates for repair or replacement and recommendations for performance improvements.